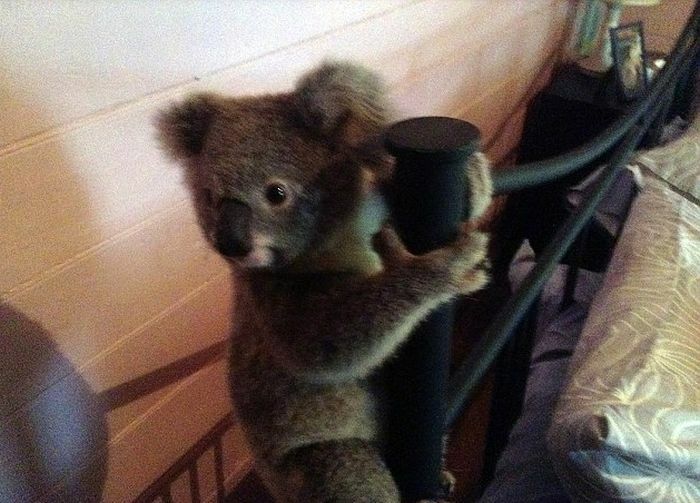 When this couple came home they were shocked to find a random koala hanging on their bed frame. 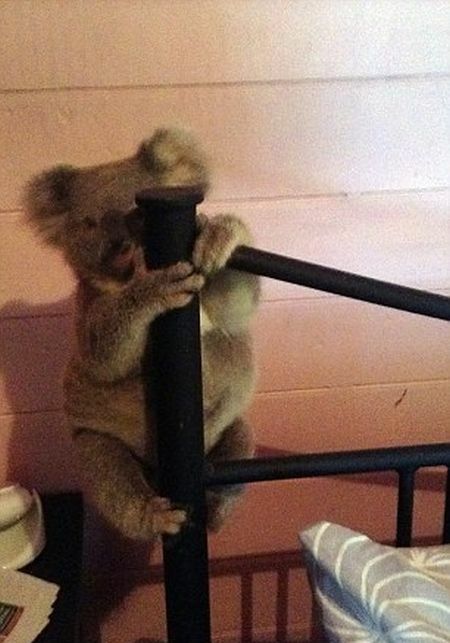 The bear made its way into the house and then climbed up the bed to escape the family dog. 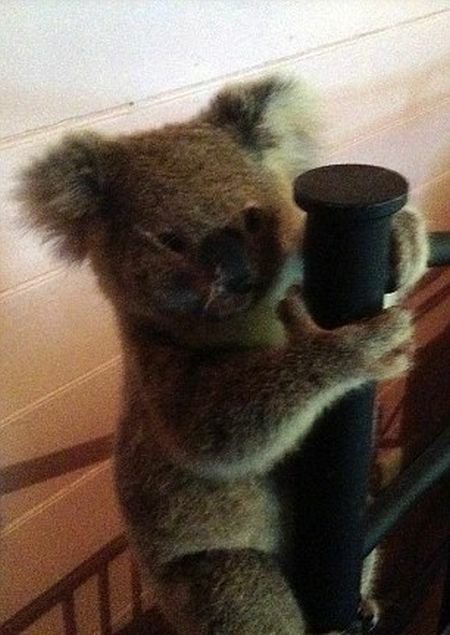 Luckily the little guy made it out unscathed and he was later returned to the wild.